There are a lot of people in the world that are constantly on the go, never allowing their bodies and minds to rest. Rest is very important for both our physical and psychological state. 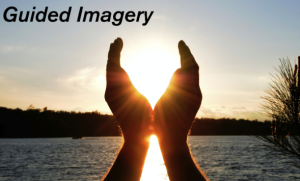 Guided imagery can help give your body the peace of mind it craves and deserves! Regular practice of guided imagery also improves the effectiveness of treatments like neurofeedback. I love the idea of meditation, but like many others I find myself lacking the time and discipline to meditate daily. I have always been attracted to guide imagery because you are in control of the experience and can visualize anything you want. After talking to a lot of patients, friends, and family it seems like the most common theme people like to visualize is a beach setting. For me my peaceful place is a brisk snowy night! There is no limit to what you can visualize. The best thing to do is let yourself get into a relaxed state and starting focusing on positive thoughts. Those positive thoughts will eventually lead you to a positive experience. Some people like to think about their children, watching them play or holding them as a baby. Others examples could be playing with pets, reliving a memorable moment from the past, imagining a successful achievement that you’ve been working towards, white blood cells cleansing your body of disease, etc. In this blog I have outlined some of the basics about guided imagery. I could talk about it all day, if you have any more questions please leave a comment and I would be happy to help. Most people think that guided imagery only involves your visual senses. 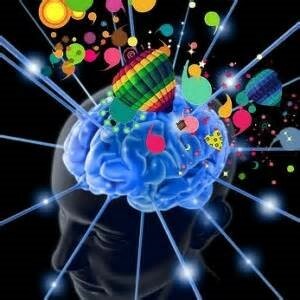 This is not true, guided imagery techniques actually involve all 5 of the senses.. [Click to Tweet] This fact is important to know because only around 55% of the population is strongly wired visually. Do not be discouraged from guided imagery even if you are not a very visual person. When you are practicing, you involve your whole body and work with all of your senses to achieve the most powerful experience. Guided imagery is one of the easiest form of relaxation in which you can take part. 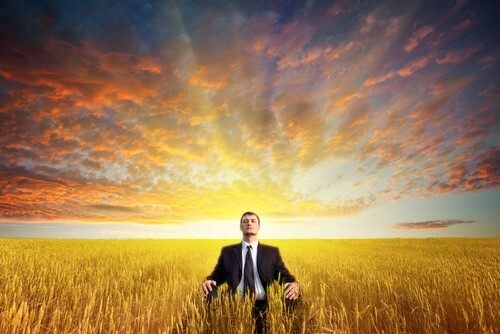 Although it is a form of meditation, guided imagery is easier for most to use than deep, mindfulness meditation. Guided imagery requires far less time and discipline but still allows participants to develop a high level of skill. The three most important parts of guided imagery are mind-body connection, altered state, and locus of control, [Click to Tweet] according to author Naparstek who wrote Staying Well with Guided Imagery and Invisible Heroes. One of the most important factors is a person’s mind-body connection. For example, whether you see food, reads about food, hear or smell food cooking, your mind has the same response. Your mind thinks food! You may even salivate from the thought of food. When you involve any of you senses, you trigger a mental response. The purpose of guided imagery is to use this mind-body connection to develop a positive and empowering experience. The second part of guided imagery is developing an altered state. The best way to describe a successful altered state would be a relaxed focus with a kind of calm but energized alertness. Attention becomes concentrated on one thing or at least on something very narrowed down. It will cause a heightened sensitivity to the object of focus, and a decreased awareness of everything else that is going on in the external environment. It is in the altered state that we are capable of more rapid and intense healing, growth, learning and performance. In an altered state we are even more intuitive and creative. Our brain wave activity and our biochemistry actually also shift when we are in this state. Because of the brain structures involved it often heightens emotion, laughter, sensitivity to music, openness to spirituality, intuition, abstract thinking and empathy. It can considerably reduce blood loss during surgery and reduce the need for morphine use post-surgery. It can increase skills such at skiing, skating, tennis, writing, acting and singing. It has been proven to reduce the adverse effects of chemotherapy, especially nausea, depression and fatigue. Relieve stress, anxiety, depression by 65%. Insomnia relief, improve sleep 85%. Take some time to study and apply guided imagery in your life, let us know what powerful ways it has affected your life!